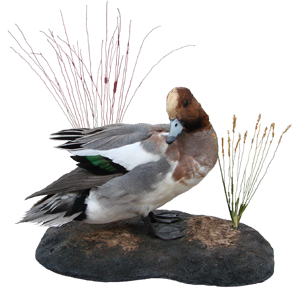 Our philosophy at AZ Taxidermy Training is to continually strive to further improve upon our own teaching standards, passing down the newest techniques and applications to our students. In the art of wildlife artistry (taxidermy), the material(s), their application(s), and techniques are all ever evolving. Our own continuing education in the art of wildlife artistry (taxidermy) dictates that we too, stay abreast of any improvements in materials and / or techniques. We choose to then pass this knowledge on to our students. It is this commitment to always continue to improve and to grow in our own knowledge of wildlife artistry (taxidermy), and to share this with all our students, that we believe, separates us from others in the industry. As an aspiring taxidermist, above all else, your concentration should be on quality, anatomically correct, and detailed taxidermy. As you grasp the nuances of becoming a taxidermist, doing excellent, mistake-free work will pay dividends for you down the road. As a result of performing quality, perfected, and detailed taxidermy, speed (or quantity), will just simply happen. Your own abilities to grasp and apply this advanced knowledge should be the dictating factor as to how much quality work you produce, not something as contrived as “I want to do 50 animals” today. Please understand that the advanced techniques and knowledge you will be taught is there to shorten your learning curve, allowing your own speed to gradually increase, and it will, as you work on your precision. And, as with any learned skillset, your own experience and repetition of the task at hand will only continue to enhance, sharpen, and accelerate your taxidermy skills.